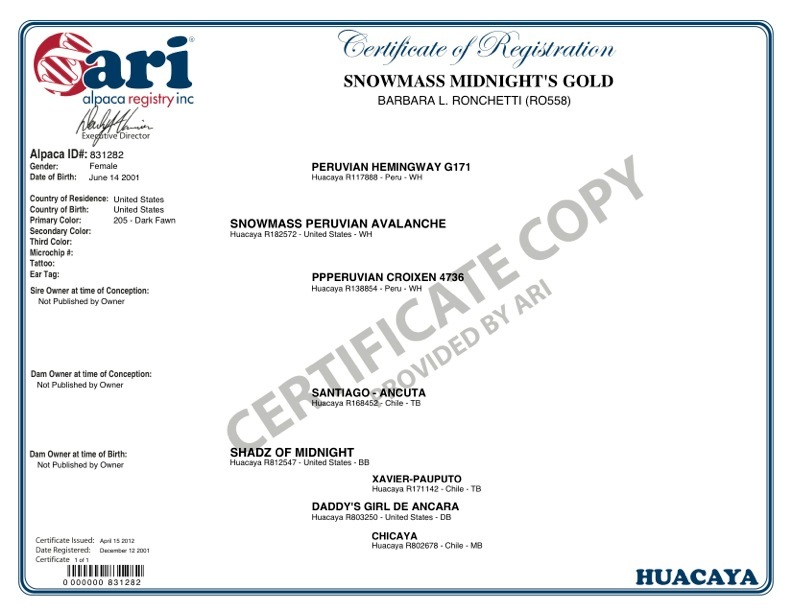 She is the daughter of the well-known Snowmass Peruvian Avalanche, and granddaughter to the most notable Hemmingway. 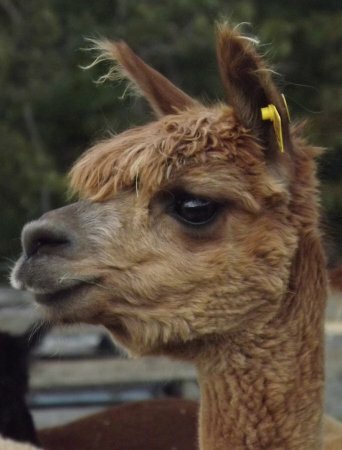 She is an astounding foundation female, and has produced nothing but the best for Island Alpaca Farm. Three P's!! 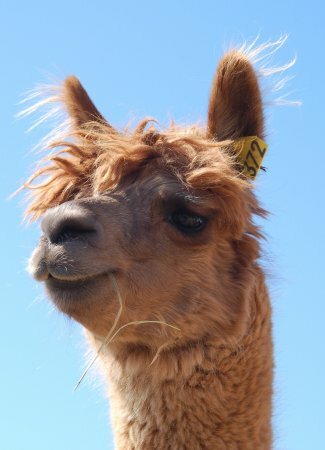 All around the perfect alpaca, with perfect disposition, and the perfect, nurturing mother -- and sought after genetic lines. 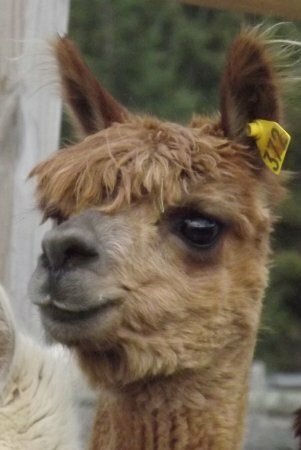 Midnight's has been bred to Revelation for a Summer 2017 Cria! Avalanche is a son of the great Peruvian Hemingway. He has a super dense and high frequency crimp. 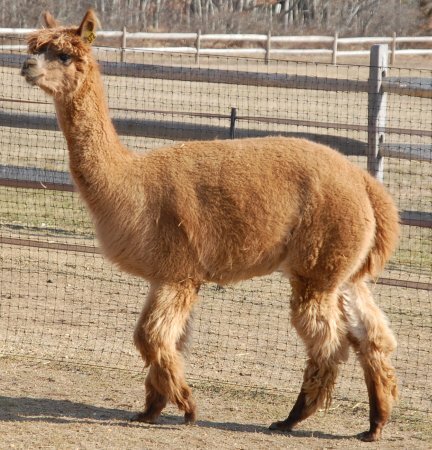 Avalanche is a grand herdsire that has a regal stature and presence. His offspring have been remarkable as well.